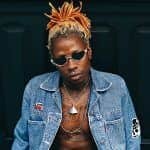 How Can I Get My Hair Straightened? Straight hair is definitely something to be envied. Besides looking effortlessly dapper and shiny, it allows you endless styling possibilities. You can basically rock any hairstyle, as straight locks can be tousled, waved, curled and given any other possible shape. Whether you were lucky enough to inherit this superior hair texture or you opted for induced straightening, we’ve composed your ultimate guide to the straight type of hair and backed it up with inspiring hairstyle ideas. 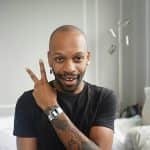 Although it’s much easier to pull off straight hair hairstyles when you already have the right hair texture, there are many both DIY and professional ways to straighten your locks. Mix a couple of eggs with a half cup of olive oil and apply at least twice a week for an hour. Use honey milk on your hair (2 tbsp. of honey and 1 cup of cow milk). Apply a combo of an egg white, a couple of tablespoons of rice flour and a cup of fuller’s earth for an hour. Puree two to three celery leaves, squeeze the juice through a cheesecloth and apply it for an hour. Apply coconut paste (blended pieces of coconut and water or milk) 2-3 times per week, which will in addition to straightening, help soften hair and tame frizziness. Blow out the hair using a hair dryer and a brush with a round barrel. Resort to Brazilian Keratin therapy. Cut the hair to let it grow straight. To keep their hair texture in check, straight hair men should follow simple but essential rules. If this is the first time you comb your hair today, take a shower beforehand. When drying, leave the hair a bit damp for ease of combing. Apply the styling product with your fingers. Don’t apply the product directly to the roots. Let your barber assist you in styling your hair. Apply the styling product for the final touch. Don’t overuse a hair blower. Part your hair and deal with tangles with a comb. Choose a styling product based on the aspired hairstyle. Match the hairstyle to the shape of your face and the type of your hair. 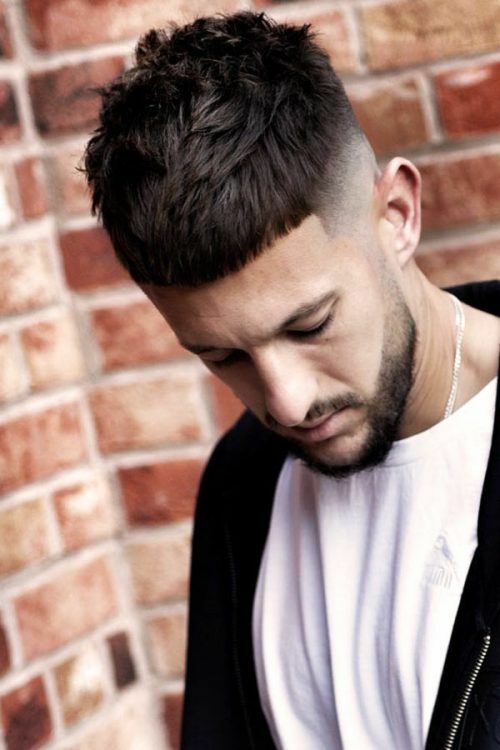 To help you choose the right haircut, we’ve handpicked the best hairstyles for straight locks. Your barber is already looking for an appointment. 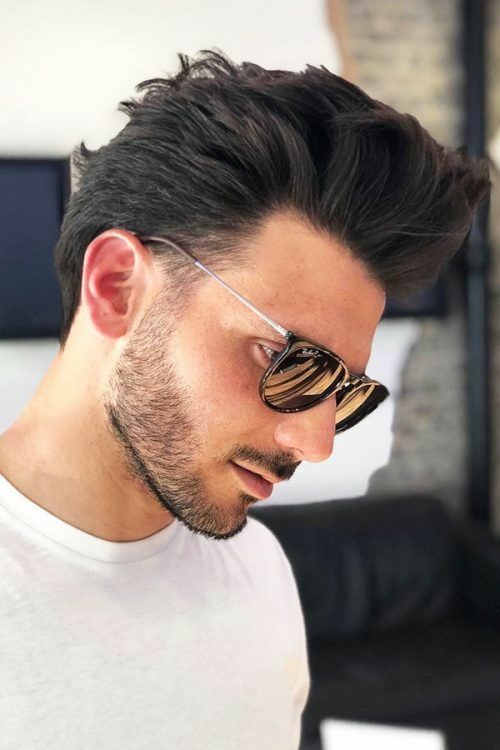 One of the biggest advantages of a Faux hawk haircut, besides its edgy look, is that you can reshape it in whatever way you like. Also, it works equally well no matter whether you have long or short straight hair. 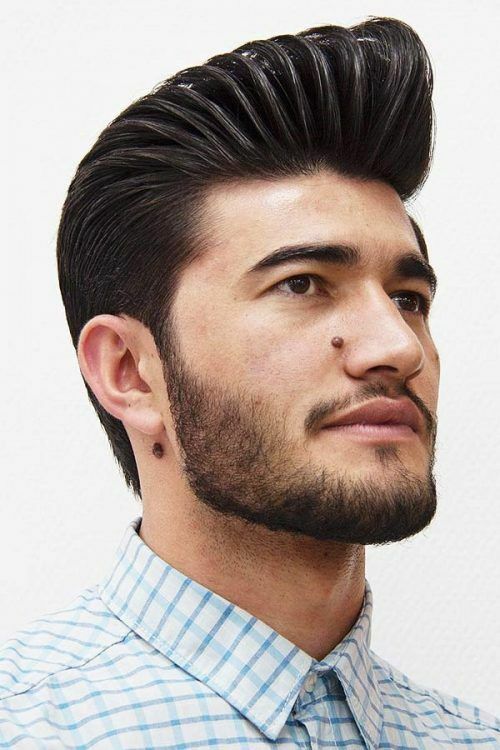 A rockabilly pompadour haircut is one of the most elegant timeless hairstyles for men with straight hair. Such a hair texture allows you to shape the top and keep it in place much easier. Slick back hair is another classic hairstyle that can be effortlessly achieved on straight locks. 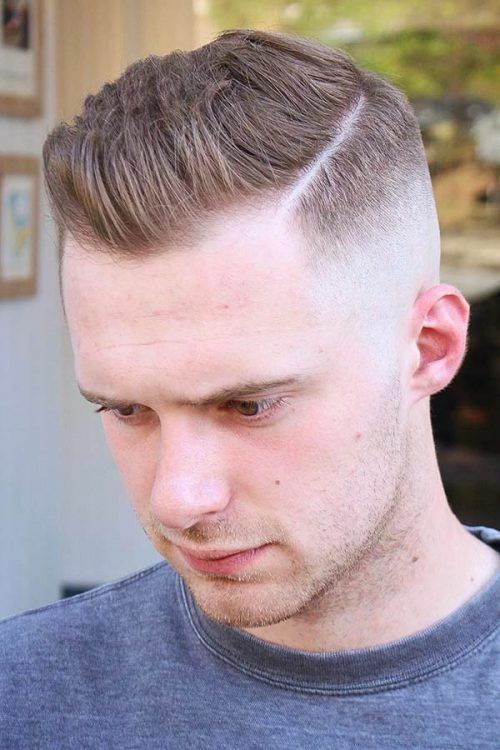 To make the top the focal point of the whole look, go for a taper fade on the sides and back. 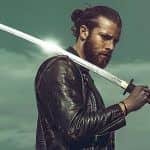 To get texture hair men shouldn’t necessarily have wavy or curly locks. 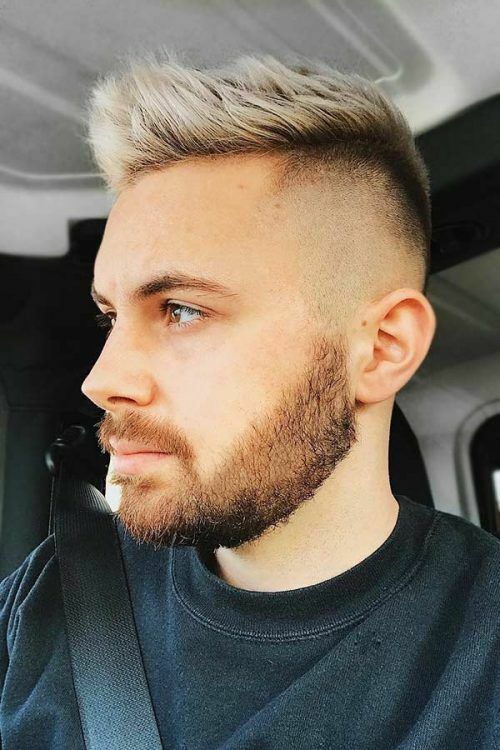 Straight hair texture also works well for such a hairstyle, especially on blonde hair men. Straight hair in most cases is very obedient, thus you’ll have no difficulty in sporting a side part haircut. 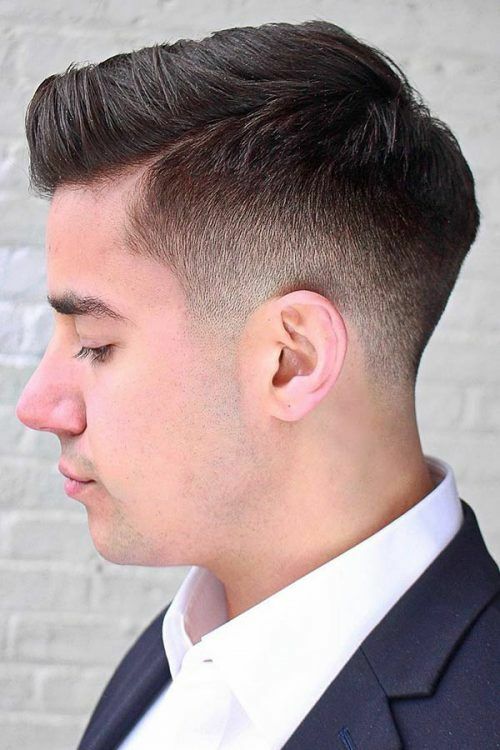 To create an even neater profile, go for a side part fade. For men with straight hair, there are nearly no limits when it comes to hairstyles. You can mix them together for outstanding results. 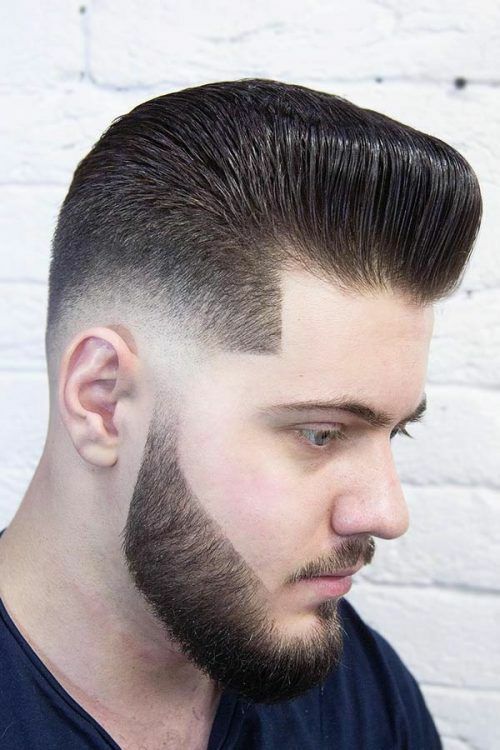 Blend, for example, a pomp, a hard part and a fade or taper haircut, and you’ll get a head-turning combo. 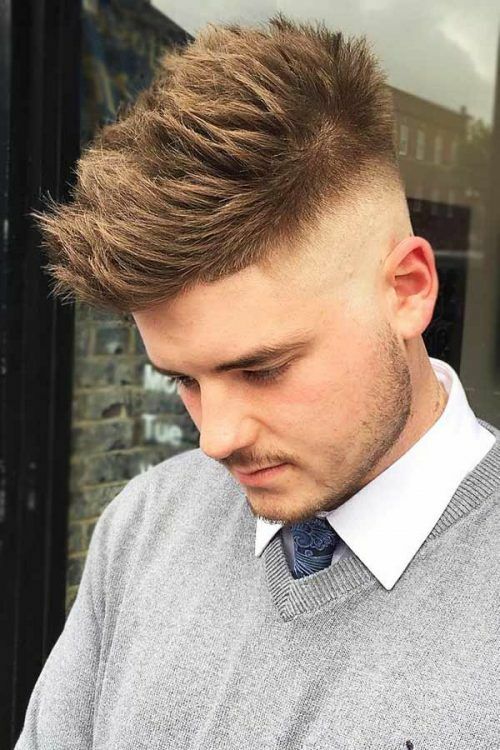 A French crop haircut is one of the edgiest haircuts for men with straight hair. 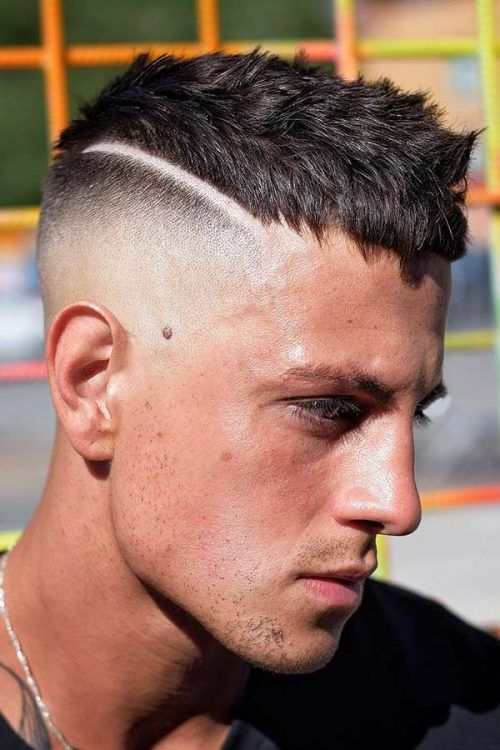 Disconnect the skin fade on the sides from the textured top with a hard part for added contrast. 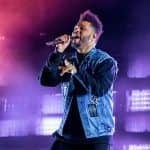 When you have straight hair, it won’t take you much effort to create a perfect Mohawk hair style. 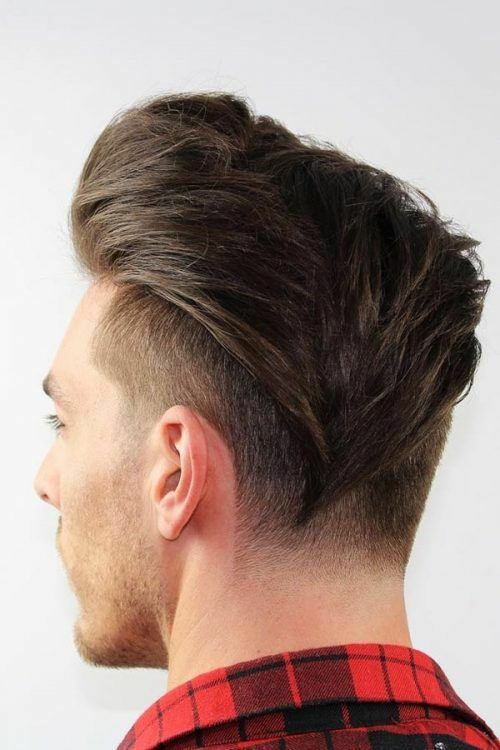 Although it looks bold with any hair length, to make your Mohawk really stand out, go with a noticeably longish top. 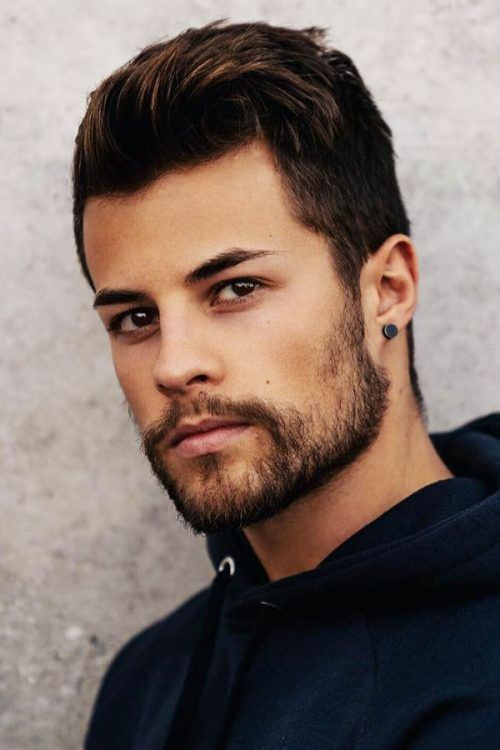 Spikes are a popular man hair style that gives your look a daring and trendy air no matter the length, especially if you have straight locks. 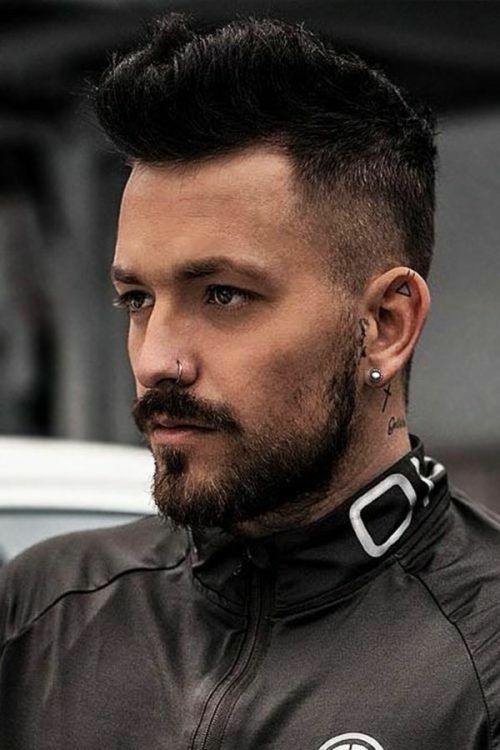 There’s arguably no better way to enhance your hair texture on top than to get an undercut haircut on the sides and back. Well, maybe a hard part haircut only. 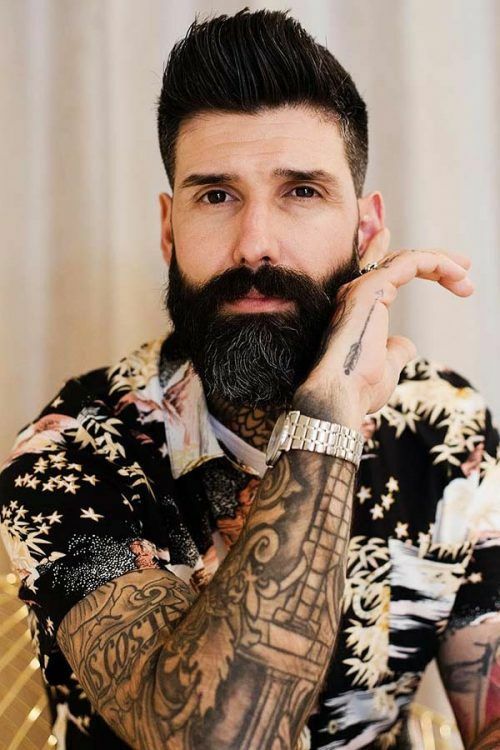 If you’re looking for a longer haircut for men with straight hair, consider a disconnected undercut with an extensive top. 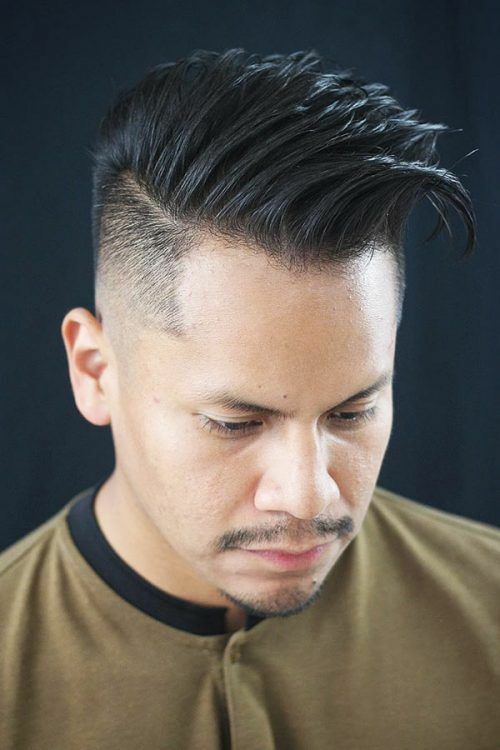 This haircut will give you multiple styling options to show off your defined hair texture. 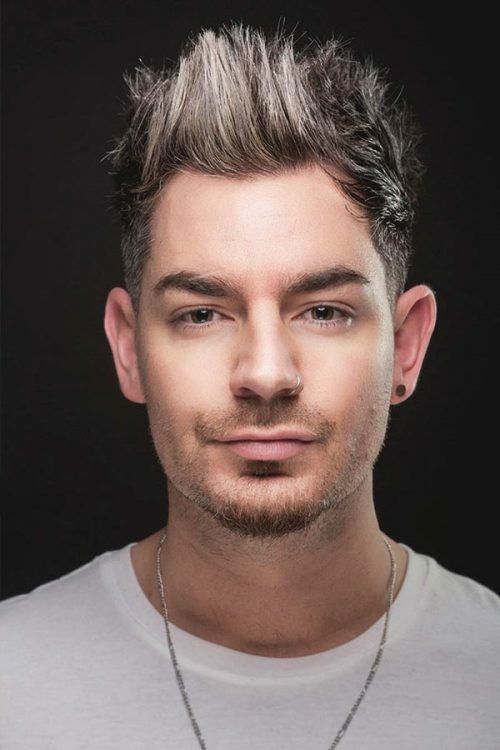 Men medium hairstyles also work nicely for straight hair. The perfect length allows you to style your locks in various ways while still looking neat when sported loose. 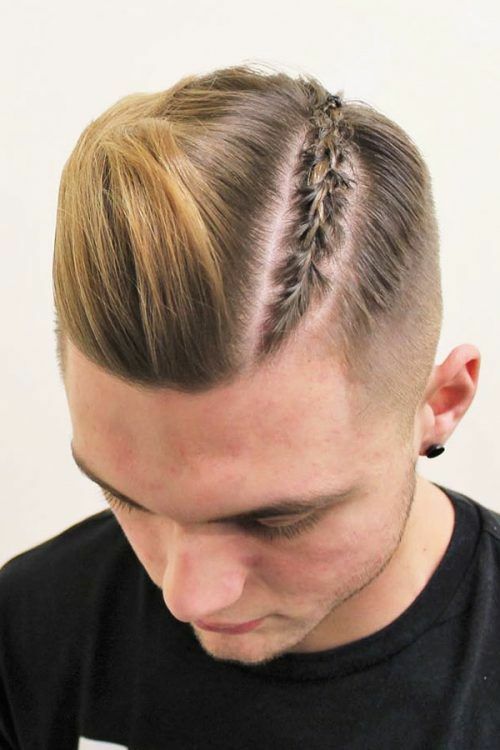 Adorn your hairstyle with a side man braid or try on cornrows for a bolder look. When flaunting long straight hair men never go unnoticed. 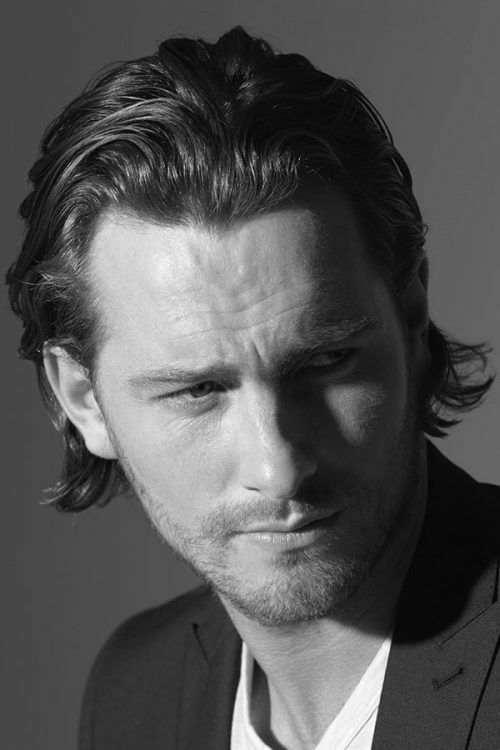 Besides, it’s much easier to keep such a men hair style looking dapper no matter what, especially when you slick it back. If you have enough will and patience to grow out long straight hair, you can be sure it will totally pay you off. 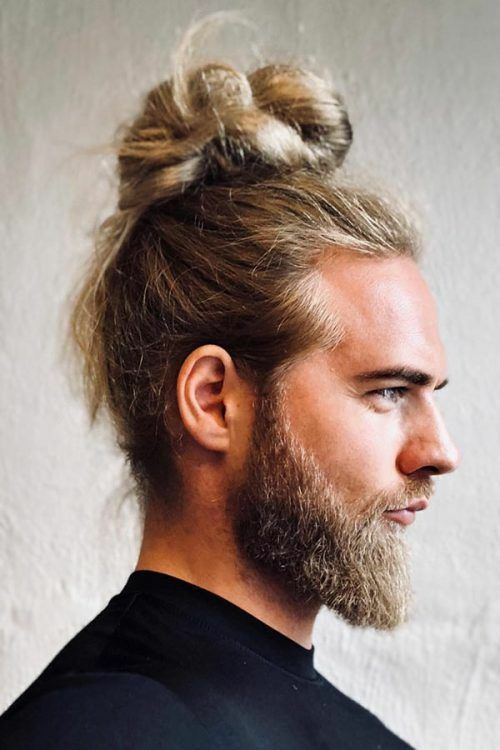 The trendiest hairstyles, such as a messy man bun, can now grace your head collecting bazillion compliments.